The Rat Rifle. 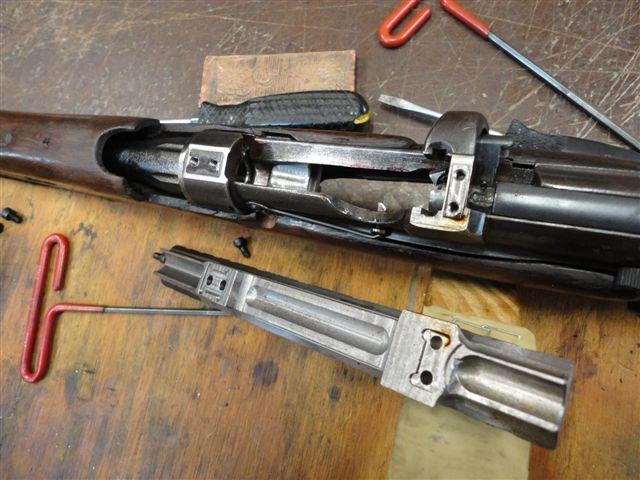 I call it the Enfakar: A 1917 Enfield. The AK47 caliber, 7.62X39, in an AR15 barrel. This one was on the old site but reposting in case of interest. This project ws not a good allocation of time ("not worth it") but once started, I had to finish it. Here's what the interface between the receiver and the scope rail looks like. I like it too--looks all business. Understated with the short magazine, I bet with a 30 rounder I'd find it repellent--like it was trying too hard to be something it's not. Does it shoot well enough to justify the scope, or was that an expedient rather than the hassle of fitting and aligning sights etc? Got to admit, I've never seen anything else like it. Probably a good conversation-starter at the range. It shoots "well enough" I suppose..... you can break 2" at 100 but pretty much only with Lapua ammo.... so far. I probably have only 125 rounds through it but enough to kinda confirm the expected: old Chinese ammo goes 4-5", Fiocchi and Federal are much better, but Lapua was the best. So, pretty good if you compare it to a 12 gage with slugs . Need to find more of that Lapua. 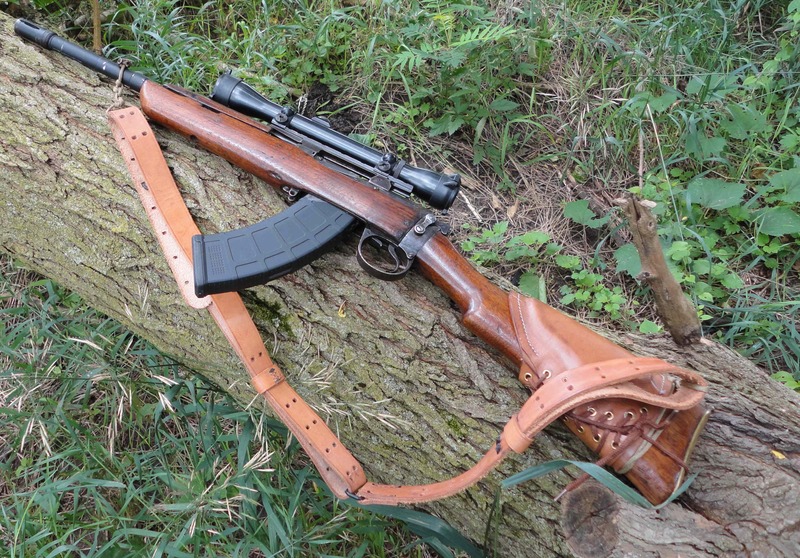 Great rifle--wish it was mine! I really enjoy already-altered milsurps that have been modded yet retain their military heritage. Having it in a cool cheap to shoot (not Lapua!!) caliber is a plus. I, am an Enfield collector, of many years. 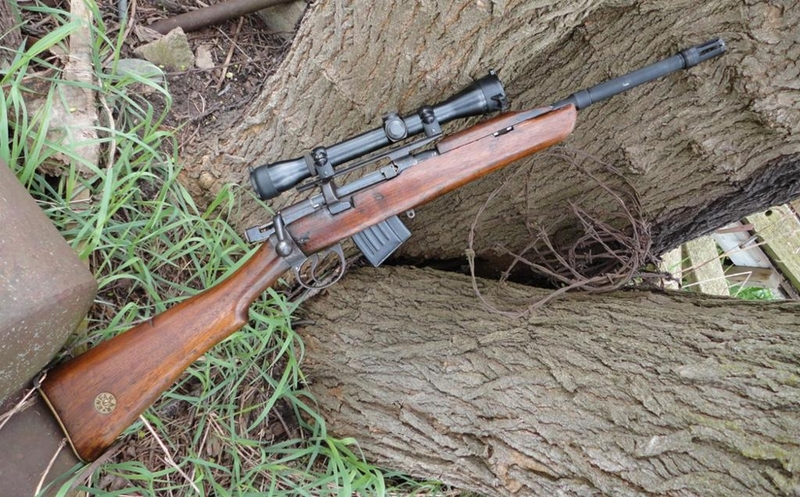 And I,have to say, Thats one of the best Enfield scope mounts I, have seen. Not counting , The original Military Enfield mount!! I'd say it's safe to say it's a one of a kind, for sure. With 30-round mag. They need to be modified and it is oh so much easier on plastic. Show with and without the brake. 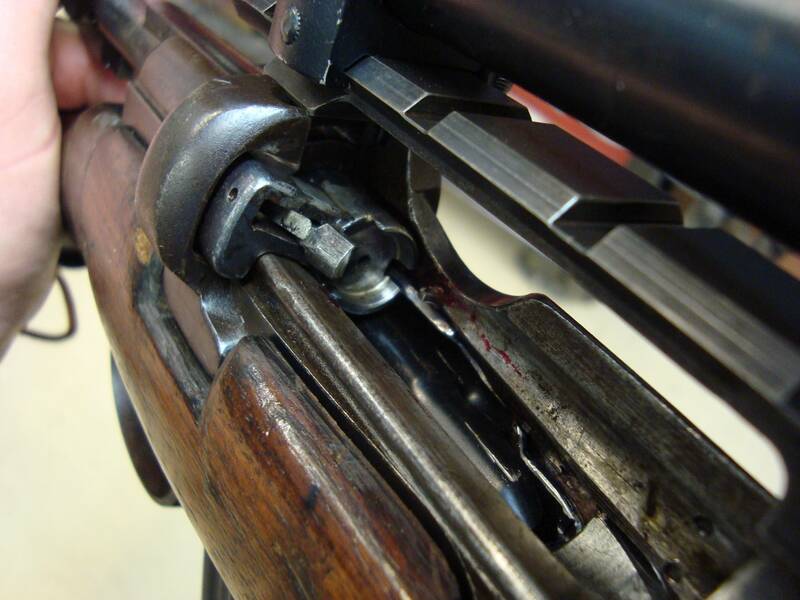 Barrel has a pinned and welded flash hider threaded to take an AK74 brake bore to .30. Not that you need it. 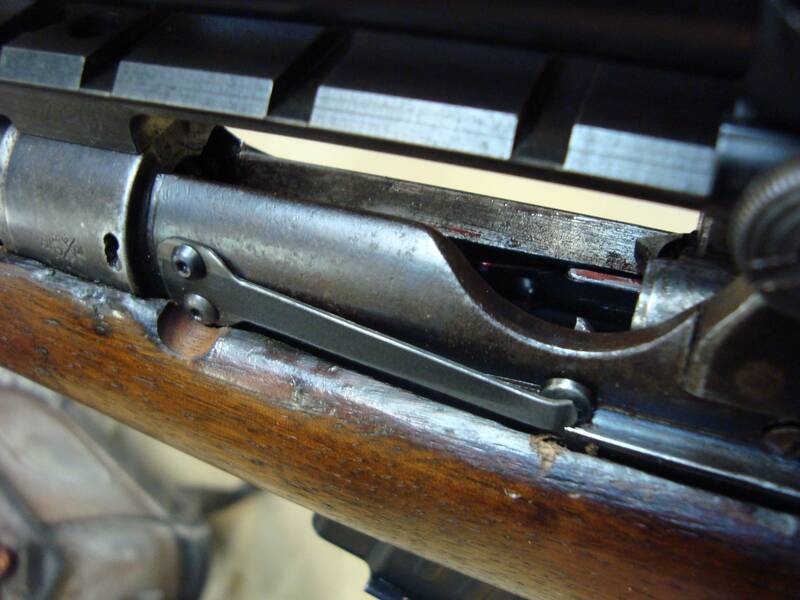 The ejector spring is a piece of SKS stripper clip. And-- yep, I thought it was a one of a kind too. 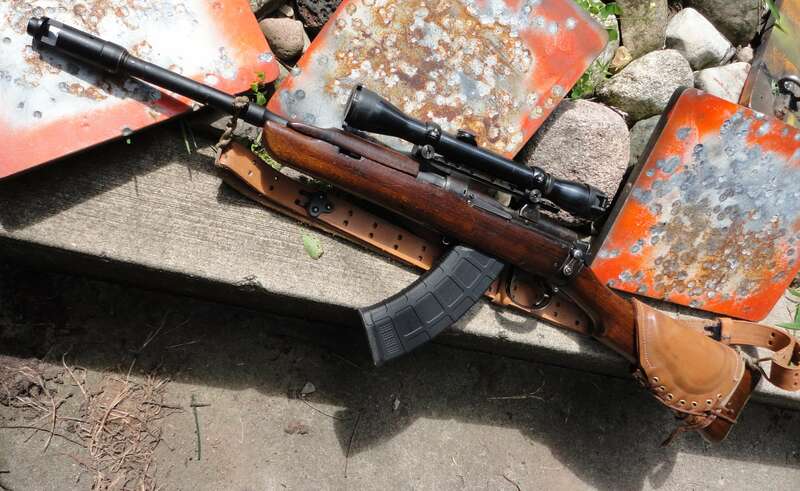 After I got it shooing I Googled around and there's some place in Viet Nam making Enfield-pattern rifles in-- 7.62 X 39. I guess they're popular in Australia but have not bee brought in here in the US. That rifle is awesome. 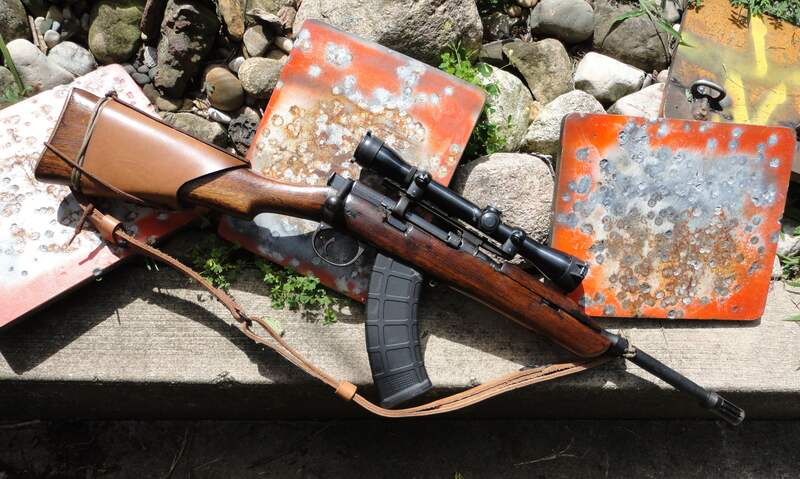 I wouldn't destroy a matching Enfield to make one, but it would be a great project for a sporterized mismatched Enfield. Definitely like it more with the smaller magazine. Reminds me of the Brazilian Mosquefal M968 on steroids. I would like to own both a M968 and OP's Enkafer. I'd try bedding the barrel as the -39mm round in an AR barrel is significantly more accurate than any AK or even SKS variant. FWIW I built an AR in -39mm using an HBAR profile barrel, JP Ent. adjustable gas block and free-floated forend and it'll print sub-MOA using premium PMC softpoints, while best w/ Brown Bear bulk ammo is 1-3/4"'at 200Y. Golden Tiger stays at 1-MOA, no better - no worse. Personally I find AK-round guns to be like 22LRs ... take them to the range w/ 6 to 8 or more different brands and let the bore tell you what she likes. I like your "rat rifle"! Good job sir!